Engage your kids in outdoor play, and be prepared for any mishaps. There’s nothing better than the sound of kids playing outdoors. Kids playing outside making up their own games can bring them a lot joy and can be great exercise. 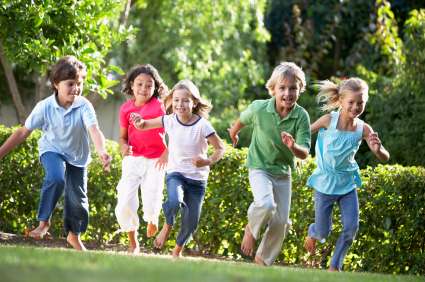 With all the technology that surrounds us today, it’s great to see kids playing in the park, and in their backyards. Be prepared for life’s little mishaps. As the saying goes, kids will be kids. You never know when a fall or a bump on the head may land them in the ER. Even with a watchful eye, sometimes things are bound to happen. But don’t let this interfere with your child’s free-play. Being prepared can help you navigate the ER maze and can lessen your anxiety knowing you have all the necessary information at your fingertips. Always carry a list of your children’s medications and their medical history with you. There are some sites where you can create a small information card. However, some people are on so many medications that the small size isn’t sufficient. If your child is on an inhaler for asthma make sure you include it on the medical form. Does your child take any medications for ADHD? Does your child have allergies? What type? Food? Or man made? Be specific. Do they have any past hospital admissions? This is just some of the information you need to include. For a 6×4 size that you can simply carry in a photo wallet, I’ve created one for you (Download the personal medical history and medication card). Simply print, complete and carry. Keep a list for you, your kids, spouse or significant other, parents and grandparents. It’s great for college students as well. Men can simply fold and carry in a small wallet. Consent to treat form can be found here. My original post, “Preparing for Life’s Little Mishaps While Engaging Your Kids in Outdoor Play” is published on Kinetics, Carol Torgan, PhD’s blog.